I don't doubt at all that the pilots were betrayed by a poorly implemented and badly documented anti-stall system, MCAS. That said, I still am amazed that the _previous_ flight of the Lion Air 737 also suffered MCAS induced control issues, but a third pilot, deadheading in the jump seat, knew what to do and saved the day. How could the following crew not be aware of the previous failure and solution? How could that not have been relayed and be fresh in their minds? By the time of the Ethiopian crash, even stupid civilians like me know where the two switches to disconnect MCAS from the trim system are. It somewhat boggles the mind that, sadly, they did not recognize what was happening and hit those switches. I would think that every 737 Max pilot on the planet would be aware of the problem and solution, even in the absence of any formal training and documentation updates. well C_U, yah need to make up your minds. "I don't doubt" yet you still shifted the blame onto the aircrew. The aircraft that was saved by the third experienced pilot? Did that pilot inform any of the other aircrews? Or did he do a modest "Ah shucks, twas nothing" modesty crap? Who, in the chain of command for the air controllers & airline executives were informed of the problems? & when were they informed? When did Boeing issue an emergency warning advisory of these issues? Whuch executive at Boeing with pilot experience (are there any?) failed to override or at least throw a screaming fit that these vital system fixes were for sale separately when pushed by sales people (om commission) clueless to flying procedures? In other words this decision to grasp another profit had to have come from a very senior executive. Which means the janitors will take the blame. Cause no one has the balls to put the blame squarely where it belongs... at the top of the food chain. Explain how the first officer, with only a few hundred hours, was trained appropriately. In most airlines around the world, you wouldn't even set foot in to the flight deck with less than 1500 hours total time. ahh TK, thank you for a most excellent example of an Executive decision. Any guesses how many janitors will be fired for that decision? "The Buck Never Stops Here! Taking the blame is what subordinates are for." Dead men, tell no tales. It's so easy to blame it on pilot error. Which leaves the following question. Do the flight recorders distinguish between the software and pilot flying the aircraft? If I understand the situation correctly? The two planes that crashed & the near miss did not have the hardware/software upgrade. It was an "unimportant" additional add-on for sale. From what I understand from the latest reports, the pilots repeatedly jabbed one button ignoring the rest of the procedures. I hear they have this from the black box. It is necessary to avoid panic. Looks like the pilot and copilot panicked. Either that or they thought they were smart enough to ignore the training. With predictable results, either way. Now Boeing is engineering the controls for dumbshits. Which they probably should have done in the first place, but hindsight is 20-20. Or, repeatedly pushing that specific button was the response the aircrews were trained to do? & I would not specifically blame the Boeing engineers. When was the last time you pointed bout an executives boneheaded error? When paying your mortgage was on the line? & keeping your mouth shut avoids getting tarnished with some of the blame? & what is the credibility of whoever is claiming to be leaking early "findings" from an incomplete report? & how does that serve the leaker's personal agenda? Execs don't usually have the technical chops to attend engineering meetings, and when they do they generally limit themselves to handling the politics among the engineers. Why are you still soiling this thread, you bigoted jackass. Yet, still, they did not complete the procedures correctly, and this can be corrected by changes in the training and changes in the software. Obviously this stall recovery is a dangerous thing, and requires more careful handling. Okay DS, I can tentatively accept your last two comments. However, is it not the excuse for those fat paychecks? That executives are managing the situations confronted every day in business? I'm waiting to see evidence for managing, coordinating, compel compliance, administrating. Not just from the Boeing Executives but the airline executives. safety officers, maintenance supervisors & national authorities of the involved countries. I'll betcha dollars to donuts, one of those desk jockeys had the Warning Notice sitting in his in-basket when he went to lunch & a a "few" rounds of golf. Not trying to shift blame. I'm wondering why they seemed to be unaware of the problem. The plane should have gotten a through going over by maintenance to fix the bad sensor. How much info is in the logs or maintenance reports? Did they include the behavior of the aircraft? Was the procedure that saved the plane noted?? I'm curious. It should have gotten into some sort of official report. I wonder if the next aircrew (should have) had access to it? Was it likely this sort of stuff is shared between pilots at an airline via a grapevine? 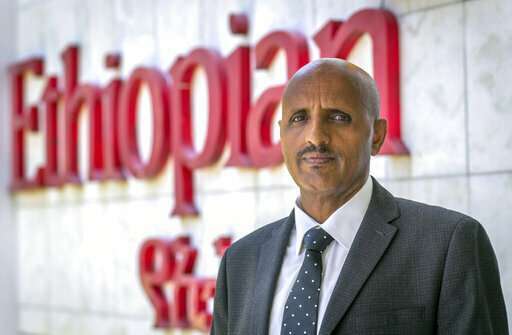 It does somewhat surprise me that, even in Ethiopia, the 737 Max pilots seemed unaware of the problem. What's the information flow, officially and unofficially. Again, the info was out there for non-pilots like me before the 2nd crash, reported on national news here in the US. Don't professional pilots follow industry news, no matter what country they are from? & the latest, latest news as of this ,morning March 29. 2019. So, like I said DS, who leaked unverified information from an unpublished report & what is their agenda? I know you all hate it when I bring up political opinions. This is the depths of irony the resemblance of this accident report U the NON-release of the Meuller Report. Whoever provided the earlier claim of pilot-error? Was most likely trying to bolster the market price of Boeing Stock as he desperately was unloading his shares. I will not be surprised if the false leaker turns out to be a Republican bigwig.